As part of the proposed makeover, the Champs-Elysées will get New York style roof top cafes, pedestrianized areas and some stunning fountains with the sole objective of regaining some of the charm that it has perhaps lost over the years thanks to an influx of big, international brands and plenty of bling making it a frenzied tourist trap. Although it is worth noting that this so called ‘characterless tourist trap’ pulls in a whopping 20 million tourists every year. 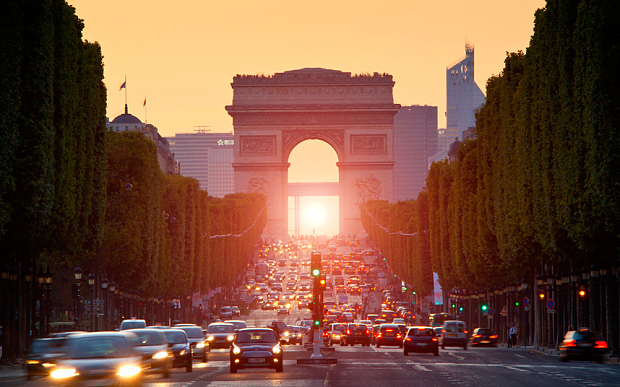 The plans were leaked to the capital’s daily newspaper, La Parisien and hinted that the prestigious avenue was about to see its first serious makeover in 25 years when the then mayor Jacques Chirac widened and spruced up the 1.9km street. The changes are likely to happen over the period of a decade and part pedestrianization can only be a good thing for the traffic laden boulevard that choke the avenue. Fountains around the Arc de Triomphe alongside an extensive green area stretching from the Arc to the Place de la Concorde will also be welcome additions to one of the world’s most beautiful and loved cities. The avenue boasts the world’s third most expensive real estate prices and these look set only to increase further with the introduction of style tips from cities such as NYC, London and Tokyo.